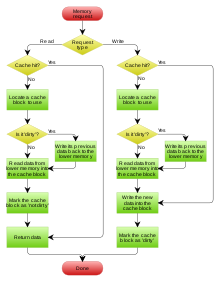 The use of a cache also allows for higher throughput from the underlying resource, by assembling multiple fine grain transfers into larger, more efficient requests. In the case of DRAM circuits, this might be served by having a wider data bus. 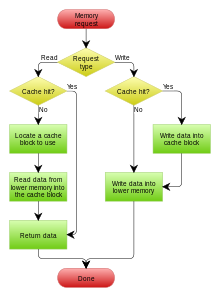 For example, consider a program accessing bytes in a 32-bit address space, but being served by a 128-bit off-chip data bus; individual uncached byte accesses would allow only 1/16th of the total bandwidth to be used, and 80% of the data movement would be memory addresses instead of data itself. Reading larequired for transmitting address information. This page was last edited on 23 April 2019, at 11:33 (UTC).